FREE! Here's an "Easy to Follow" System for selling your house fast and for Top Dollar that works in any market condition, including this one. If we do not buy your house from you right away, this book will show you how to sell it for EXACTLY what you want. The real estate market has changed for the better BUT there still seems to be an ART to selling a property. We're an experienced group of home buyers and investors and want to make an all cash offer on your property. 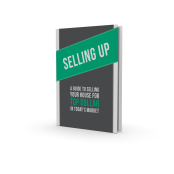 BUT if we don't buy it then this FREE ebook will show you exactly what to do next. We buy houses in any condition and any price range. We'll also make you a very fair, ALL cash offer and can close quickly, often less than 30 days. © Errol Buys Houses All Rights Reserved.